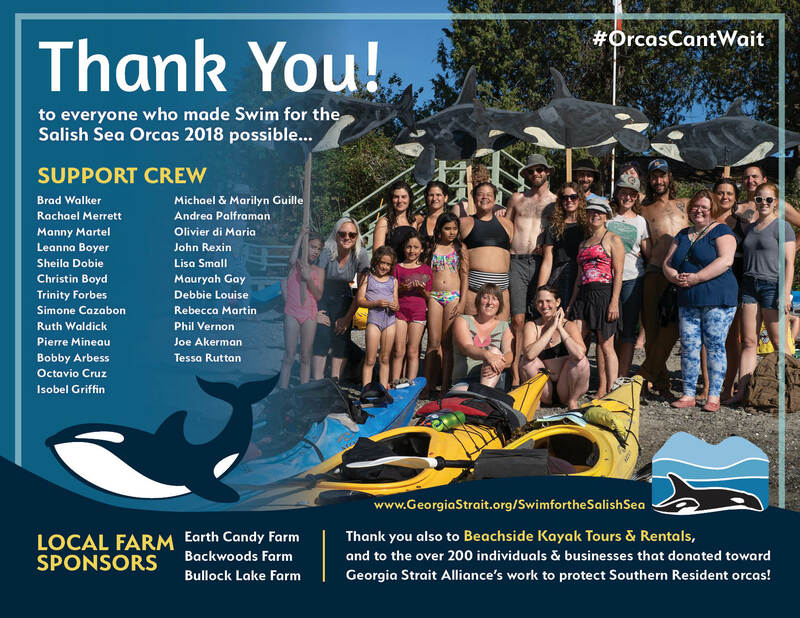 Thanks to the support of 229 contributors, Rama DelaRosa’s Swim for the Salish Sea Orcas raised $12,700 to save the endangered Southern Resident killer whale, more than meeting the challenge grant of $10,000 contributed by a long-time GSA donor. It was an incredible journey, and Rama and all of us at GSA are so grateful to be part of a community that cares so much about our coast and our beloved Salish Sea Orcas. The Southern Resident Killer Whales section of our website highlights how this support is helping us to make sure the federal government lives up to its commitment to take important steps to improve the plight of this apex predator, which is so vital to our marine ecosystems. The section also includes videos and photos of the whales and links for other ways you can stay up to date or take action. If you have not already done so, please join our Orca Action Team to be among the first to receive news and opportunities to continue to take action in support of orca recovery. Thanks again to those of you who joined us through your personal commitment to protect this iconic umbrella species we know and love. And congratulations to Rama for inspiring us all!